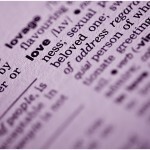 What is love and what does love have to do with brands, organizations and business? Good question. I don’t know for sure but that’s never stopped me before. Plus the Sunday lesson this morning was love and we’re closing in on Valentine’s Day. I got inspired. At the risk of violating rules for both civil and faith-based discussion in post-modern society I thought I’d try and answer the question by combining Christian scripture, secular business principles and a bit of humor. And to make the risk greater, I’ll use one half of perhaps the best known verse of scripture , John 3:16. For those averse to matters of faith and religion, don’t worry. No moralizing. I just hope you’ll still find something here that you agree with and find mildly insightful. With that, here’s part one of three. John 3:16 starts: “For God so loved the world …”. Such a simple statement. God loved the world. Actually, John wrote “so” loved the world which I’ll interpret to mean that He loved it a lot. 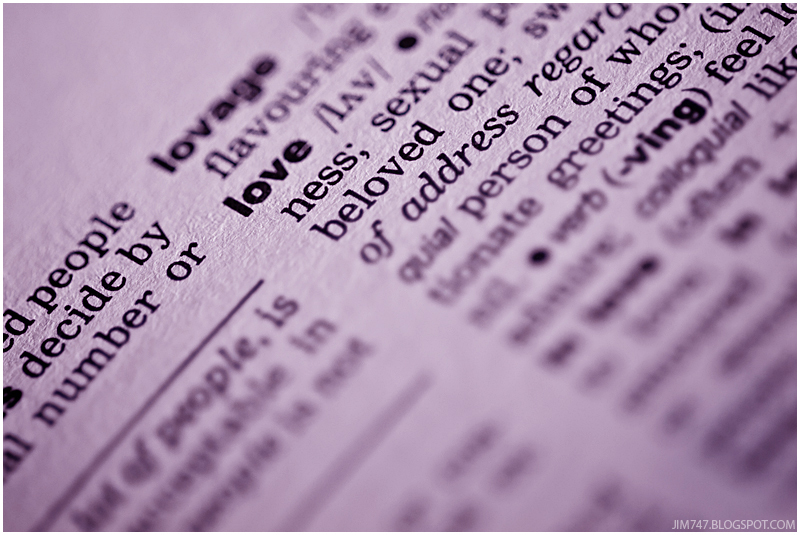 What does that tell us about nature of love? 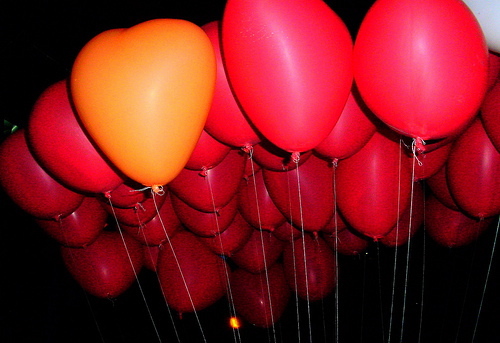 For me, it is this: Love is a decision. Sure, we’ve got the Grand Canyon and all. And there are a lot of very wonderful people in the world. But peel back the layers of our planet earth – the world – and the place is pretty terrifying. Animal world? Check out a NatGeo video of some tiger methodically stalking, catching and bloodily piece-by-piece tearing apart the flesh of a baby zebra while it writhes in pain. You can have all the Disney talk you want romanticizing the ‘circle of life’ stuff, but in the real world what you’re really talking about are animals savagely stalking and eating each other. Nature = strong eat the weak. Fascinating, yes. Even beautiful? Perhaps. Something that you’d decide to love? Not so much. Then turn to the world of people. Sure there are some nice people out there. You and me, right? But even we do some horrific things. Here’s a test. Take two perfectly wonderful, pleasant, well-behaved and lovingly adorable three year olds. Put them together on the floor in a room. Now set evenly between them a very cool toy to share. Stand back and watch. Trust me. It is going to get ugly in a hurry. Within five minutes, screams. Within ten, grabbing, biting, and gouging. Anyone who has had children will confirm this. And as for adults and all our own private neurosis and objectionable behaviors? Let’s not go there. No, people can be pretty hard to love. Even the ones that on the outside seem nice. And nature? Forget about it! For every beautiful sunset and mild ocean breeze there’s a Jakarta tsunami and Hatian earthquake. Nature may be a lot of things but three things it totally lacks are compassion, forgiveness, mercy. No, nature is about as far away from love as you can get. No. I’m thinking that what John was writing about was a clear, concious decision by a God to love the world. However it was, love was a decision. It was a choice. It is not something that happened It is something that was made to happen. So what in the world does any of this have to do with brands and business? Loving your employees or loving your customers does not just happen. In business, love does not come naturally. Sometimes employees and customers can be a handful (remember the story of the three-year-olds?). If you’re going to really care about what you do and who you do it with – I mean REALLY care about them – it is going to be something that you’re going to have to decide to do. If you wait for it to happen, it won’t. Trust me. This stuff isn’t like a scene from The Titanic. Real love, the love that matters and lasts and changes lives and is meaningful – that love is something you choose to create. It is a decision that an organization or brand makes a conscious effort to act upon. Companies that are consistently voted as the best place to work have DECIDED to be the best place to work. Companies that have the most ardent and loyal customers have DECIDED to show their customers respect, affection and support. If an employee or customer says they LOVE this or that brand, organization or company … you can bet that long before they realized or said it, someone made a decision that this is what they wanted to have happen. They made a decision that the relationship they were building was not just based on making the most money, getting the cheapest price, or being a matter of convenience. It was going to be more than that. Love doesn’t just happen. Love is a choice. Tomorrow: love is a verb.